Here’s one of many photographs in my collection of people that I do not know. 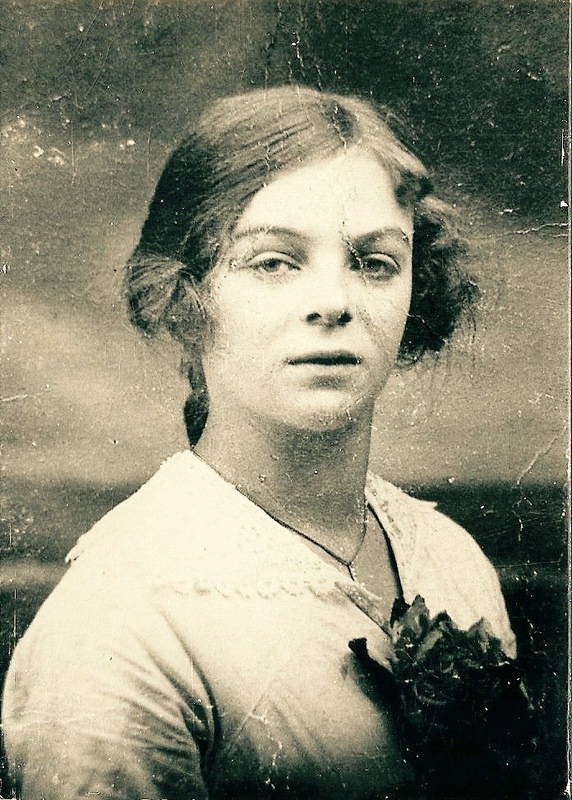 Most of the photographs were inherited from my grandparents or belong to my parents. This particular photograph is undated and there is nothing written on the back of the image to give me any clue. It is printed on a post card and bears the name of Vales Studio, 72 Church Bank, Bradford. So what can I tell from the image? 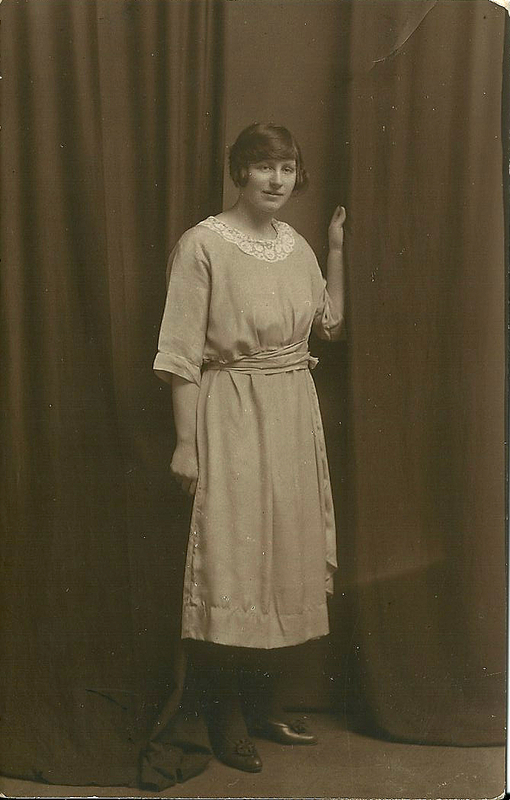 Well going by her hairstyle and dress I think it is probably 1920’s. It looks to me as though the young woman is trying to keep up with fashion in what is probably a home made “flapper” style dress. I think the dress is home made because the hem does not look very professionally finished – if you can see what I mean. I also think that she doesn’t look very relaxed and perhaps wants to scoot behind the curtain as soon as she can! !